DUBAI: Pakistan set Australia a daunting target of 462 to win the first Test in Dubai after declaring their second innings at 181 for six on the fourth afternoon on Wednesday. Resuming at 45 for three, Pakistan lost Imam-ul-Haq (48), Haris Sohail (39) and Asad Shafiq (41) before declaring 7.5 overs after lunch. 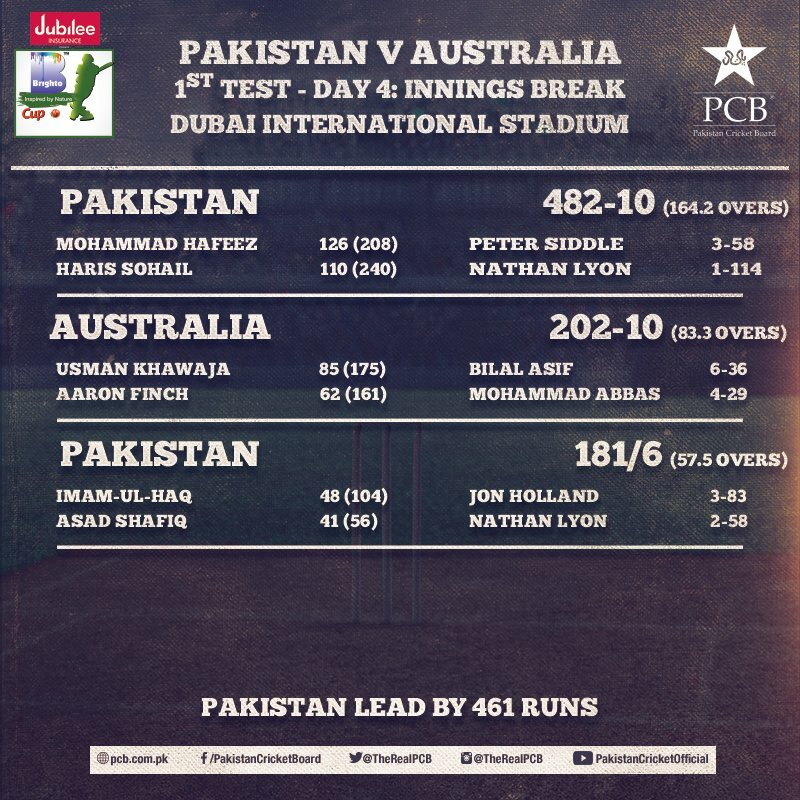 Pakistan had made 482 in their first innings before bowling Australia out for 202. Spinner Jon Holland finished with 3-83 while Nathan Lyon took 2-58.